Apologies for neglecting you guys this past week – I know you must have missed me like crazy! I just spent three days carrying out some work experience at the Hunts Post for my NCTJ – an amazing experience I hope to revisit later in the year. 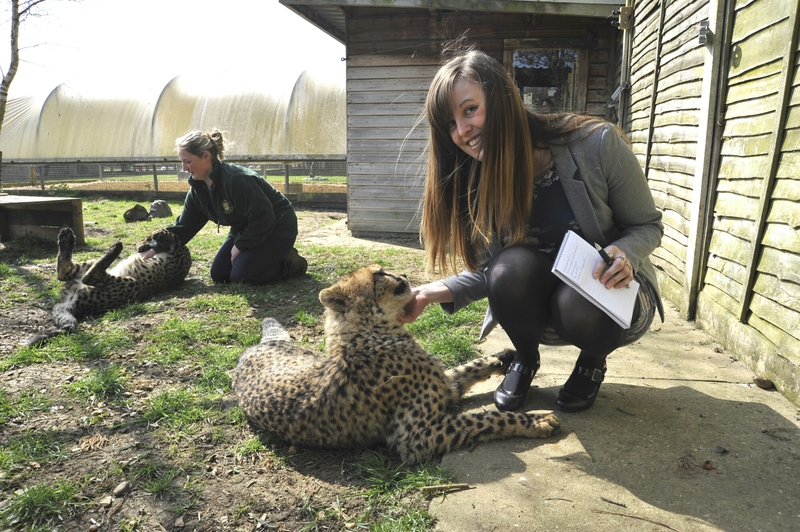 If you want to see what I got up to you can check out next week’s edition of the paper online from Wednesday. Roger Martin is an ‘expendable’ young journalist. David Lowther’s debut novel ‘The Blue Pencil’ was published in 2012 and encompasses the author’s love for historical fiction. It is 1936, Britain is in recovery, emerging from the depths of the greatest depression of all time and still reeling from the effects of the Great War. As expansionist forces in Germany threaten to turn Europe into a fascist dictatorship, the British government cling desperately to any hope of peace. 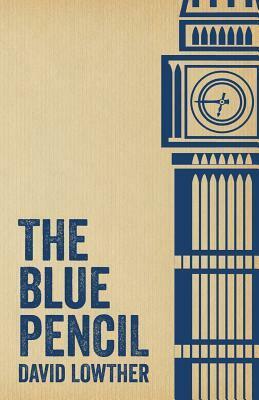 The Blue Pencil focuses on the coverage of foreign events in London’s Fleet Street from 1936-1939, shedding a new light on the lengths the British Government went to, to hide the truth from the Great British public. The book takes its name from the infamous ‘blue pencil’ traditionally used by editors and sub editors to show corrections. The dreaded receiving back of a piece of work covered in blue pencil akin to the corrections shown by teachers in secondary school is something most of us can relate to. These days the blue pencil has been largely replaced by a red pen. I’ve had many conversations with fellow writers over the despair of receiving a piece of work back covered in red ink. Lowther’s description of the Globe’s offices particularly appealed to me, conjuring up vivid images of Lois Lane tapping away at her desk in the Daily Planet press office. Roger quickly settles in to his new role and before long finds himself more or less leaving behind film and sport reviews for more important coverage of international affairs. He covers Hitler’s movements throughout Europe, attempting to make his stories as hot and hard hitting as possible. As it becomes evident that the government is determined to strangle the press, Roger has a different aim in mind, to let his readers know the secrets the government is working so hard to cover up. Despite several warnings from those close to the Prime Minister, which put much more than just his job in danger, Roger insists on publishing nothing but the truth. When faced with confrontations with ‘the blue pencil’, the owners of the newspaper, and even the police Roger does not back down. The Blue Pencil is an incredible story of the attempts by authoritative figures to suppress the press in what turned into the most devastating war in British history. The novel introduced me to a piece of history I knew nothing about. While Roger may be a fictional character I know that his unpleasant experiences at the hands of Chamberlain’s government, whether direct or indirect are Lowther’s description of a very real, and shocking truth. I was particularly impressed by the detailed picture of the 1930s which Lowther presented; the level of research which must have gone into writing this book is truly incredible. The story is historically accurate but this goes far beyond the realms of European politics at the time. Lowther clearly put an awful lot of time and energy into discovering the entire time period. The journalists and reporters who Roger comes into contact with are all real people; the hard hitting news stories were actually published, including ‘The Tragedy of Guernica’ by George Steer. Lowther even keeps up to speed with the results of the Ashes, and the films of the time, often sporadically name dropping films and actors. This is all done so naturally that it feels as though one were actually living at the time of all these events. Lowther’s unique writing style, which combines the commonplace with historical events, has the effect of drawing the reader into deep into the pages of the book. Through this method the main character grows, becoming a person that the reader relates to, and knows on an almost personal level. Roger travels to Berlin and relates first-hand one of the most horrific nights in Jewish history “Women were screaming, children were crying and the Nazis were celebrating”. He tells the reader of the anti-sematic rag, Der Stürmer with it vulgar caricatures of Jewish men. At the same time we are made aware of the way Roger feels, his terror and disgust, and the emotional exhaustion he felt upon returning to England. Roger is more than just a hard boiled reporter, he has a real life and is a person like any other, with a mother who worries if he is not home for dinner, and a girlfriend, with whom he goes on country outings, and trips to the cinema: “things quietened down for a while. I spent a lot more time with Jane. We saw Paul Muni in The Life of Emile Zola (Not bad) and Will Hay in Oh Mr Porter (very funny)”. Historical fiction is at its best when it is relatable to those who have not lived through the events in question, and Lowther’s original method of interlacing the poignant with the mediocre achieves just this. Overall I would rate The Blue Pencil very highly, it was comprehensible and interesting and I thoroughly enjoyed reading it. I was captivated by Roger’s story, and drawn in by the realness of the characters and the situations; it really did feel as though I was stepping back into the 1930s. My one slight gripe is that there are multiple grammatical errors and spelling mistakes throughout the text, which is a shame. That said the mistakes were not so frequent as to ruin the book for me, and I would definitely still recommend it to others. Many thanks go to Sacristy Press for providing a free copy of the book for review.